Processed carbohydrates are carbohydrate foods that were processed or refined to make them more consumer-friendly and easier to transport, but have been stripped of most -- if not all -- of their nutrients and fiber along the way. 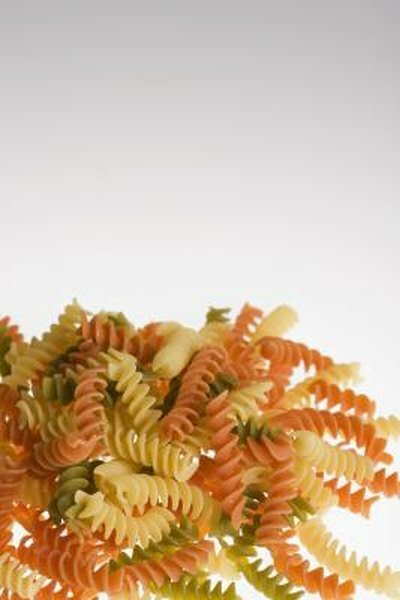 Carbohydrates provide energy for the body, particularly for the brain and the nervous system. An enzyme called amylase helps break down carbohydrates into blood sugar, or glucose, which the cells of your body absorb for energy. Examples of processed carbohydrates include most baked goods, white breads, pastas, snack foods, candies and non-diet soft drinks. Other examples of processed carbohydrates are bleached, enriched wheat flour and white sugar. Because these foods have been stripped of their nutrients and fiber, they are often referred to as "empty calories." As our bodies try to digest the huge amounts of starches and simple sugars in a meal that is dominated by processed carbohydrates, hormone production, such as that of insulin, fluctuates dramatically. This causes blood glucose levels to experience spikes and dips, a situation that may increase the risk of developing chronic illnesses such as obesity, diabetes, cancer and heart disease. In addition, our bodies are ill-equipped to handle the array of artificial flavorings, colorings and preservatives that are frequently part of the processing of refined carbohydrates. The glycemic index classifies carbohydrates based on how quickly and how high they raise your blood sugar when compared to pure glucose. Many processed carbohydrates, like white bread, have a high glycemic index and cause rapid spikes in sugar. A score of 70 or higher gives a food a high glycemic index. Diets that contain a lot of high glycemic index foods are suspected to increase your risk for diabetes, heart disease and obesity.